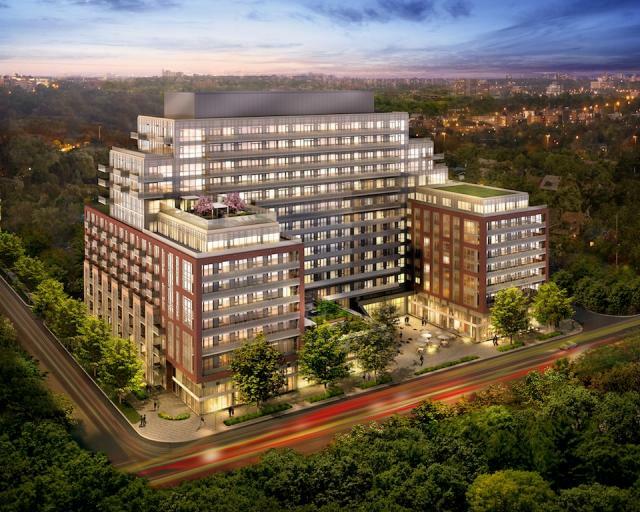 HighPark Condos is a new condo in High Park, one of Toronto's most desirable locations. Filled with stylish interiors, endless amenities and style, these suites are perfect for the new home buyer. HighPark Condos is being developed by The Daniels Corporation, and designed by Diamond Schmitt Architects. Located at 1844 Bloor St W, the HighPark Condos will be directly across from Toronto’s largest urban park – High Park – this exciting new condominium community will offer a living experience like no other. Nestled on the edge of Toronto’s Bloor West Village, residents will enjoy being directly across from the park for a brisk walk or a leisurely bike ride, as well as being just steps from the charming bakeries, boutique shops and fine dining of beautiful Bloor Street. Rising 14 storeys (378 units), this stunning glass clad residence will welcome homeowners with a spacious front entry courtyard and extensive landscaping. Inside, residents will enjoy phenomenal unobstructed views of the 399 acres of exquisite park as well as state-of-the-art amenities including a cutting-edge climbing wall, extensive bike storage and riding prep space, elaborate gardening plots and two exquisite outdoor terraces that will overlook the picturesque tree tops of High Park. The builder is offering limited time incentives for its remaining inventory including cash back, 5% down, free maintenance fees, parking and locker. Suites are starting at $299,900 for studio units, up to 2 bedroom plus den units. Estimated occupancy is July 2015.